Robin Antar was born in Atlantic City, NJ in 1957. She has been sculpting since 1974 when a high school teacher introduced her to stone carving. 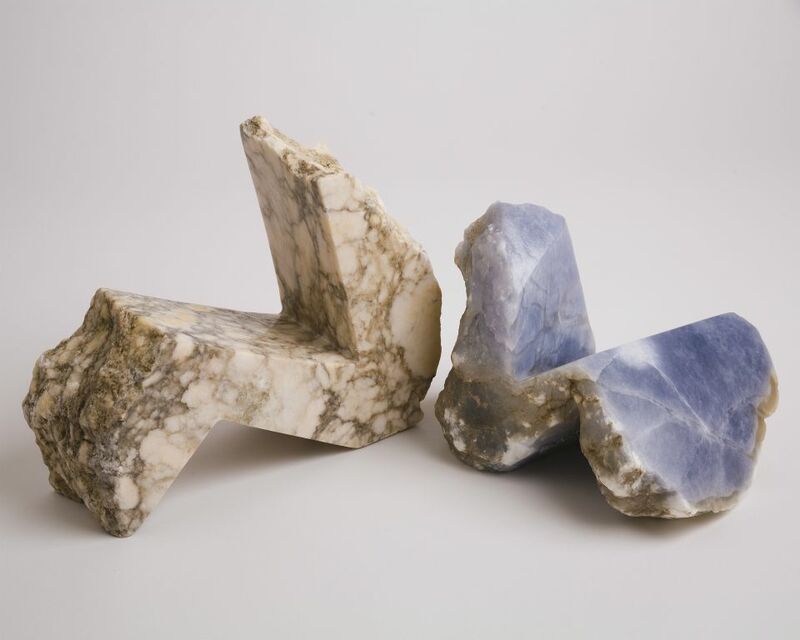 Her mission as a sculptor is to create a visual record of modern culture by capturing contemporary everyday objects in stone, mostly marble, travertine and alabaster. By replicating the model on a life-scale along with marking and symbol details, she attempts to freeze the object in time as an artistic form of artifact. She achieves this high degree of realism through incorporating such materials as parts of the real object, custom-made stains, paints, plastics and gold leaf. Her works have been exhibited in various shows and galleries, including Sotheby’s, NY; the National Arts Club, NY; Nabisco Gallery, NJ; Fine Art Management Enterprises, Miami, FL; the City Museum of St. Louis, Mo., the Provincetown Art Museum, Provincetown, MA; the MGM Grand hotel, Las Vegas and others. Recent commissions include Dr. Marten Boots, England; Sketchers Boots USA; California and Chateau Haut-Brion wines, France as well as private collections. She has been featured in newspapers including the New York Post, Las Vegas Tribune and others, and magazines such as Fashion Manuscript, Art Business News and Sportswear International. She was also awarded second place in the sculpture section of the Best of New York artist books and was awarded the Gold Medal of Honor by the Allied Artist of America in Sculpture and asked to become a full member. Broadcasts include today in New York, Fox News in Las Vegas and 1010 Wins radio in NY. Memberships include Pen and Brush, NYC; National Association of Women Artists and the National Sculpture Society.